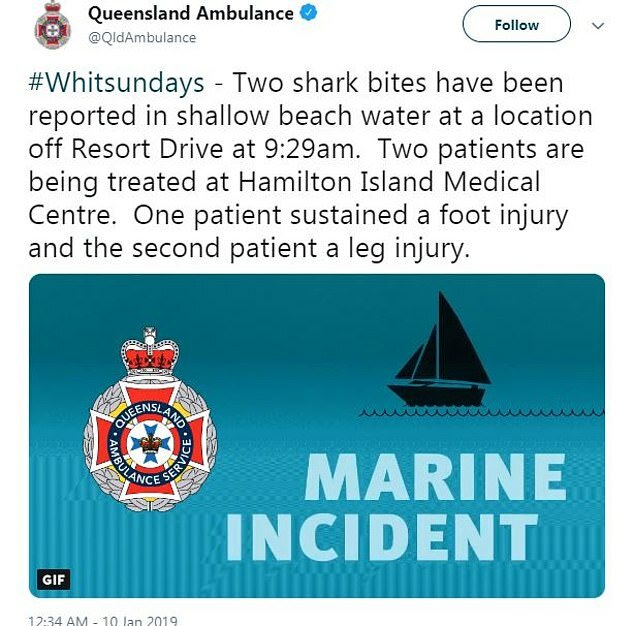 An elderly woman and young girl have been rushed to hospital after another shark attack at a tourist hotspot. 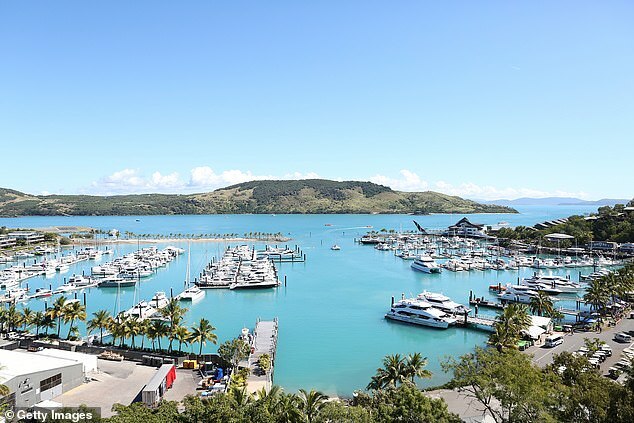 The attack occurred in shallow water at Catseye Beach on Hamilton Island, in the Whitsundays, Queensland, on Thursday Morning. The incident was reported to emergency services at the location off Resort Drive at about 9.29am. The primary school aged girl sustained an injury to her foot and toe and the woman, aged in her 60s, suffered a leg injury. The two patients, who are in a stable condition, were treated by paramedics and transported to Hamilton Island Medical Centre. A Queensland Ambulance spokesman told Daily Mail Australia they have since been transported to Proserpine Hospital via boat. 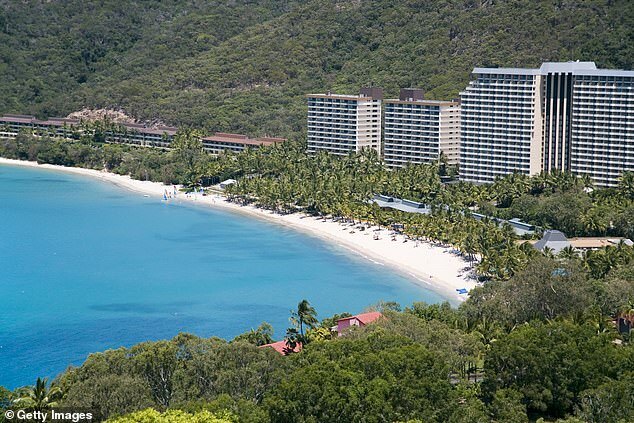 In November 2018, a Melbourne doctor died after he was attacked by a shark during a sailing holiday around the Whitsundays. Daniel Christidis had jumped into the water from a stand-up paddle board he was sharing with a woman at Cid Harbour when the shark struck at about 5.30pm. During the attack, the 33-year-old was bitten in the left thigh, right calf and left wrist, the latter of which was reportedly injured while fending off the predator. Mr Christidis was taken by helicopter to the Mackay Base Hospital, 100 kilometres to the south, but he ultimately died from his injuries. The attack came less than two months after two tourists were attacked in the same body of water within 24 hours of each other, resulting in the culling of six sharks. On the afternoon of September 19, Tasmanian tourist Justine Barwick was mauled while swimming off of a private yacht in Cid Harbour. Hours later, 12-year-old tourist, Hannah Papps, was also attacked in the same location while swimming from a yacht the next day, losing a leg.